"Something on my plate is hissing and fizzing". Not what you normally expect to hear at afternoon tea, but this is no ordinary afternoon tea. We're dressed in cloaks, waving wands and stirring cauldrons. Such is life at Cutter & Squidge. 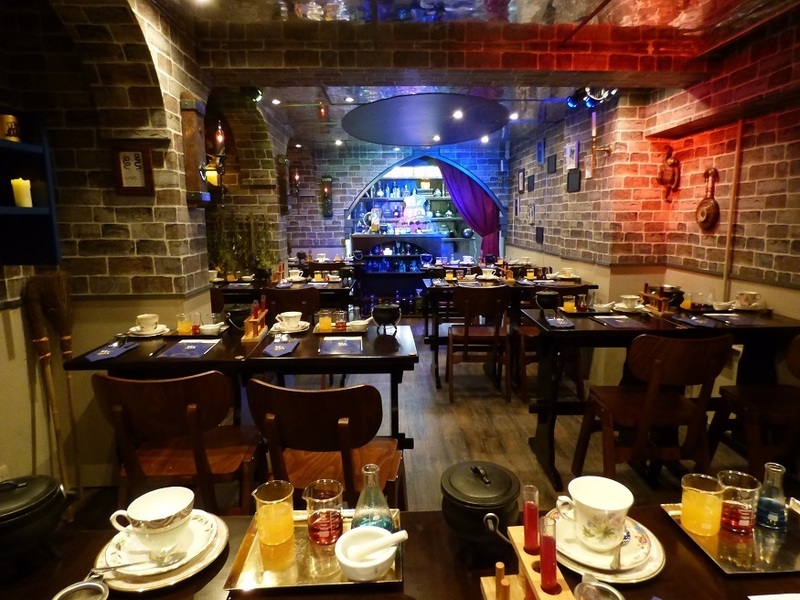 The downstairs of the Soho bakery and cake shop — previously incarnated as Hello Kitty's lair and the Genie's Cave — has had a spellbinding makeover for its latest afternoon tea offering, The Potion Room. 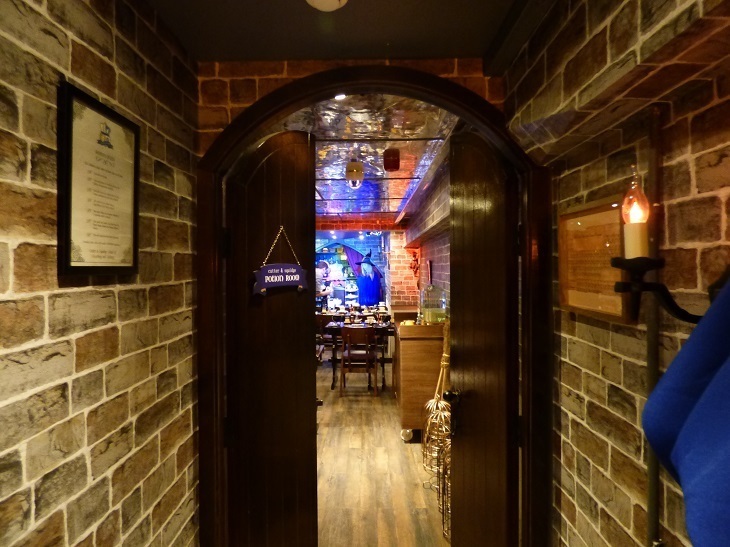 Leave the busy streets of Soho behind as you descend downstairs into the potion class. Get cloaked up, and then take your seat at the school-style desks and await your potions teacher. 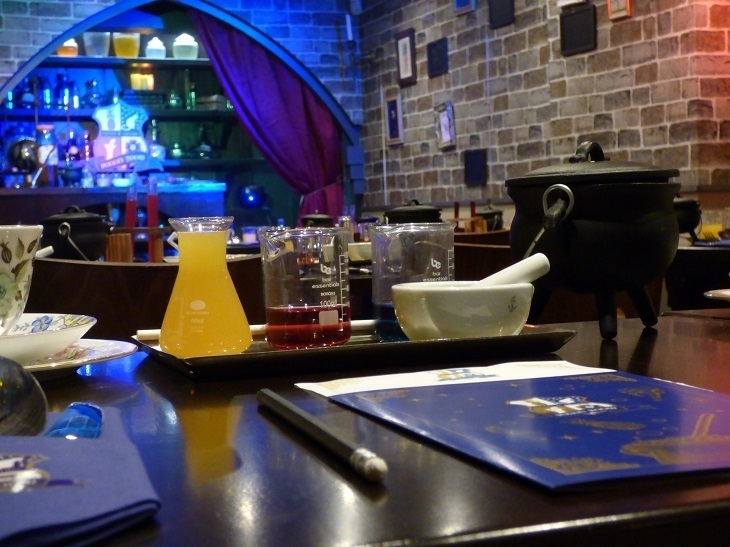 She'll have you whisking up potions and all manner of concoctions in no time — we won't give away too much, but even the most cynical of attendees will quickly be enchanted. We're told two different actresses take on the role of potions teacher. On our visit, she remains skilfully dedicated to her character throughout, toeing the line perfectly between including everyone and forcing participation. Want to get involved in the magical world? That's great. 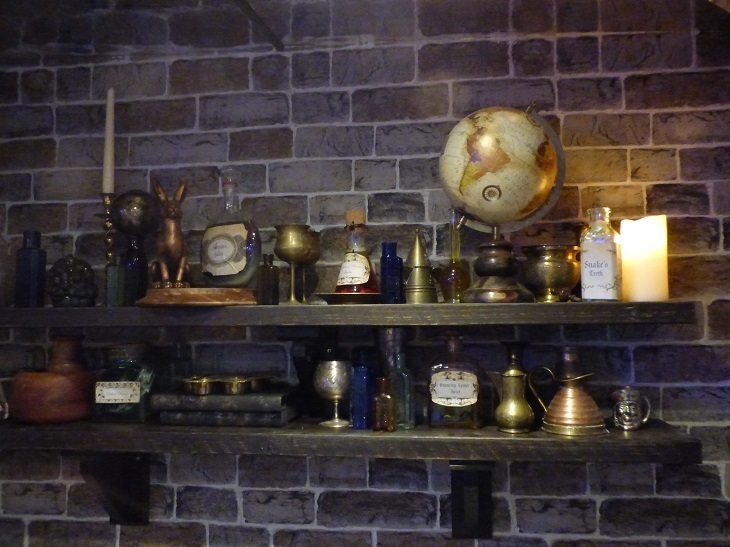 Prefer to just stir your potions quietly in the corner? That's fine too. The detail that's gone into the decor is phenomenal — it's hard to believe that just a month ago, these walls were glittering with the treasures of the genie's cave. Now, apothecary bottles and candle fill the alcoves, and those glittery walls are bricked over. Like a school science lesson, a colourful array of beakers and test tubes greets each new class of students. And of course, we're all provided with wands. So, with all that theatricality, what's the food actually like? 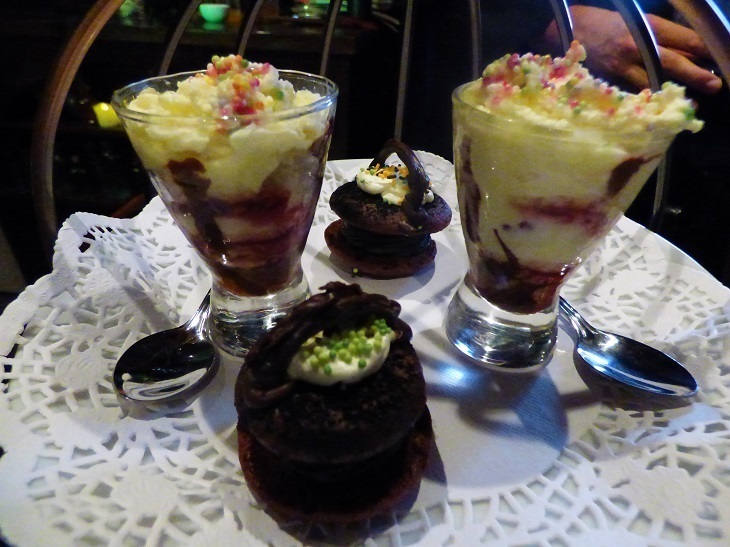 In the past we've found that afternoon teas which focus on presentation tend to be lacking somewhat when it comes to quality. Here though, it's not the case of one being sacrificed for the other. Rather, they complement each other beautifully. It's simultaneously a traditional afternoon tea — scones, sandwiches and sweets, all served on a tiered stand — and a bonkers time filled with surprises. Our tea tastes like sherbet, our cocktails crackle (hello popping candy) and the roast dinner sandwiches are something we could, nay should, be eating every day. We're huge fans of Cutter & Squidge's biskies creations, but the butterscotch one here is superior to any other we've tried — think salted caramel's sexier, more sophisticated older sister. Our tip: save it till last to end the meal on a phenomenal high. While Cutter & Squidge claims no link to a certain boy wizard and his magical world, it's hard not to draw parallels. 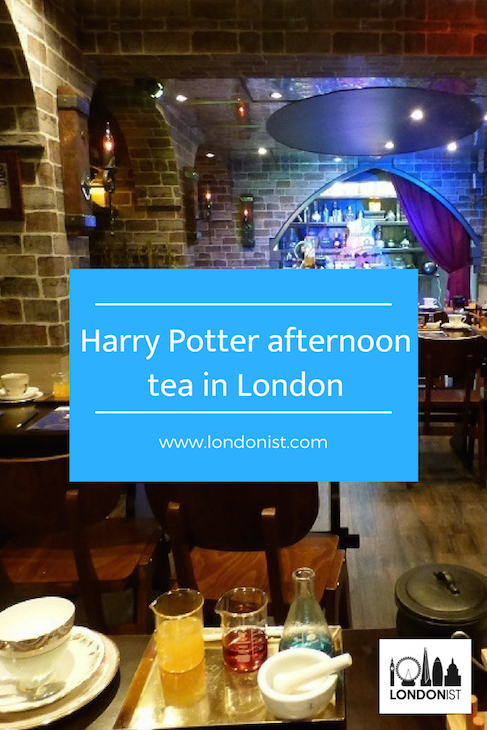 Either way, Potter fans will be absolutely enchanted with the whole experience. We're calling it. 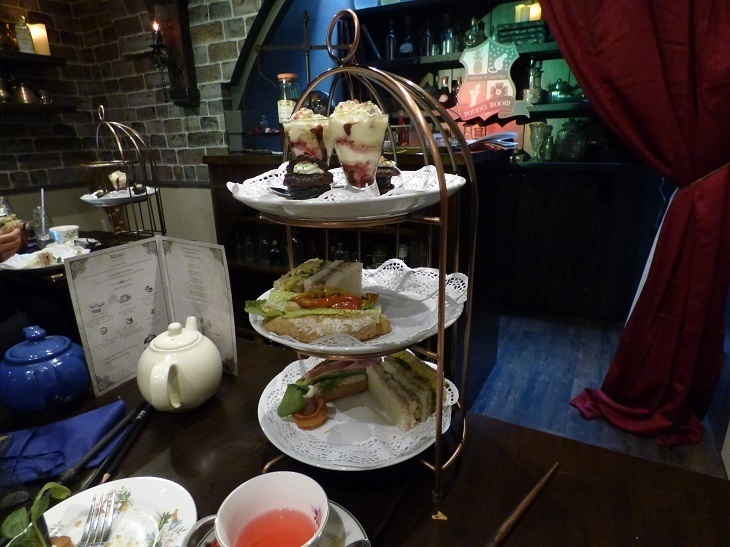 This magical, enchanting offering is far and away the best afternoon tea you'll find in London today. Fantastic, tasty and filling food, an unrivalled theatricality and plenty of surprises. The Potion Room at Cutter & Squidge, 20 Brewer Street, Soho, W1F OSJ. The experience costs £49.50 for adults and £39.50 for children (age 8-12), and is worth every penny. You'll need to book in advance.